LOADED WITH VALUE! Comes equipped with: Jupiter Red, Premium Package. This Mercedes-Benz CLA also includes Air Conditioning, Clock, Climate Control, Tachometer, Dual Zone Climate Control, Cruise Control, Power Steering, Telescoping Steering Wheel, Steering Radio Controls, Power Mirrors, Lthr. Steering Wheel, Driver Airbag, Passenger Airbag, Intermittent Wipers, Side Airbags, Rear Defogger, Security System, AM/FM, Anti-Theft, CD Player, Bluetooth®, Center Arm Rest, Vanity Mirrors, Heated Mirrors, Rear Fog Lamps, Child Proof Door Locks, Daytime Running Lights, Reverse Camera, Side Curtain Airbags, Roll Stability Control, Tire Pressure Monitor, Carpeted Floor Mats, Overhead Console, HD Radio, Voice Control. Air Conditioning, Climate Control, Dual Zone Climate Control, Cruise Control, Power Steering, Power Mirrors, Leather Steering Wheel, Clock, Tachometer, Telescoping Steering Wheel, Steering Wheel Radio Controls, Driver Airbag, Passenger Airbag, Side Airbags, Security System, Rear Defogger, Intermittent Wipers, AM/FM, CD Player, Anti-Theft, Bluetooth®, Carpeted Floor Mats, Center Arm Rest, Child Proof Door Locks, Daytime Running Lights, Heated Mirrors, Overhead Console, Rear Fog Lamps, Reverse Camera, Roll Stability Control, Side Curtain Airbags, Tire Pressure Monitor, Vanity Mirrors - Dealer not responsible for typographical errors of any sort, including but not limited to pricing. Exact mileages may vary. -LOADED WITH VALUE! LOADED WITH VALUE! Comes equipped with: Mountain Grey Metallic, Premium Package. This Mercedes-Benz CLA also includes Air Conditioning, Clock, Climate Control, Tachometer, Dual Zone Climate Control, Cruise Control, Power Steering, Telescoping Steering Wheel, Steering Radio Controls, Power Mirrors, Lthr. Steering Wheel, Driver Airbag, Passenger Airbag, Intermittent Wipers, Side Airbags, Rear Defogger, Security System, AM/FM, Anti-Theft, CD Player, Bluetooth®, Center Arm Rest, Vanity Mirrors, Heated Mirrors, Rear Fog Lamps, Child Proof Door Locks, Daytime Running Lights, Reverse Camera, Side Curtain Airbags, Roll Stability Control, Tire Pressure Monitor, Carpeted Floor Mats, Overhead Console, HD Radio, Voice Control. Air Conditioning, Climate Control, Dual Zone Climate Control, Cruise Control, Power Steering, Power Mirrors, Leather Steering Wheel, Clock, Tachometer, Telescoping Steering Wheel, Steering Wheel Radio Controls, Driver Airbag, Passenger Airbag, Side Airbags, Security System, Rear Defogger, Intermittent Wipers, AM/FM, CD Player, Anti-Theft, Bluetooth®, Carpeted Floor Mats, Center Arm Rest, Child Proof Door Locks, Daytime Running Lights, Heated Mirrors, Overhead Console, Rear Fog Lamps, Reverse Camera, Roll Stability Control, Side Curtain Airbags, Tire Pressure Monitor, Vanity Mirrors - Dealer not responsible for typographical errors of any sort, including but not limited to pricing. Exact mileages may vary. -LOADED WITH VALUE! Comes equipped with: Mountain Grey Metallic, Premium Package. LOADED WITH VALUE! Comes equipped with: Polar White, Premium Package. This Mercedes-Benz CLA also includes Air Conditioning, Clock, Climate Control, Tachometer, Dual Zone Climate Control, Cruise Control, Power Steering, Telescoping Steering Wheel, Steering Radio Controls, Power Mirrors, Lthr. Steering Wheel, Driver Airbag, Passenger Airbag, Intermittent Wipers, Side Airbags, Rear Defogger, Security System, AM/FM, Anti-Theft, CD Player, Bluetooth®, Center Arm Rest, Vanity Mirrors, Heated Mirrors, Rear Fog Lamps, Child Proof Door Locks, Daytime Running Lights, Reverse Camera, Side Curtain Airbags, Roll Stability Control, Tire Pressure Monitor, Carpeted Floor Mats, Overhead Console, HD Radio, Voice Control. Air Conditioning, Climate Control, Dual Zone Climate Control, Cruise Control, Power Steering, Power Mirrors, Leather Steering Wheel, Clock, Tachometer, Telescoping Steering Wheel, Steering Wheel Radio Controls, Driver Airbag, Passenger Airbag, Side Airbags, Security System, Rear Defogger, Intermittent Wipers, AM/FM, CD Player, Anti-Theft, Bluetooth®, Carpeted Floor Mats, Center Arm Rest, Child Proof Door Locks, Daytime Running Lights, Heated Mirrors, Overhead Console, Rear Fog Lamps, Reverse Camera, Roll Stability Control, Side Curtain Airbags, Tire Pressure Monitor, Vanity Mirrors - Dealer not responsible for typographical errors of any sort, including but not limited to pricing. Exact mileages may vary. -LOADED WITH VALUE! LOADED WITH VALUE! Comes equipped with: Mountain Grey Metallic, Premium Package. This Mercedes-Benz CLA also includes Air Conditioning, Clock, Climate Control, Tachometer, Dual Zone Climate Control, Cruise Control, Power Steering, Telescoping Steering Wheel, Steering Radio Controls, Power Mirrors, Lthr. Steering Wheel, Driver Airbag, Passenger Airbag, Intermittent Wipers, Side Airbags, Rear Defogger, Security System, AM/FM, Anti-Theft, CD Player, Bluetooth®, Center Arm Rest, Vanity Mirrors, Heated Mirrors, Rear Fog Lamps, Child Proof Door Locks, Daytime Running Lights, Reverse Camera, Side Curtain Airbags, Roll Stability Control, Tire Pressure Monitor, Carpeted Floor Mats, Overhead Console, HD Radio. Air Conditioning, Climate Control, Dual Zone Climate Control, Cruise Control, Power Steering, Power Mirrors, Leather Steering Wheel, Clock, Tachometer, Telescoping Steering Wheel, Steering Wheel Radio Controls, Driver Airbag, Passenger Airbag, Side Airbags, Security System, Rear Defogger, Intermittent Wipers, AM/FM, CD Player, Anti-Theft, Bluetooth®, Carpeted Floor Mats, Center Arm Rest, Child Proof Door Locks, Daytime Running Lights, Heated Mirrors, Overhead Console, Rear Fog Lamps, Reverse Camera, Roll Stability Control, Side Curtain Airbags, Tire Pressure Monitor, Vanity Mirrors - Dealer not responsible for typographical errors of any sort, including but not limited to pricing. Exact mileages may vary. -LOADED WITH VALUE! Comes equipped with: Mojave Silver Metallic, Premium Package. Comes equipped with: Brilliant Blue Metallic, Premium Package. LOADED WITH VALUE! Comes equipped with: Black, Premium Package. This Mercedes-Benz GLC also includes Air Conditioning, Clock, Climate Control, Tachometer, Dual Zone Climate Control, Cruise Control, Homelink System, Privacy Glass/Tinted Windows, Power Steering, Telescoping Steering Wheel, Steering Radio Controls, Power Mirrors, Lthr. Steering Wheel, Driver Airbag, Passenger Airbag, Intermittent Wipers, Side Airbags, Rear Defogger, Security System, AM/FM, Anti-Theft, CD Player, Bluetooth®, Rear Wipers, Center Arm Rest, Remote Trunk Lid, Vanity Mirrors, Heated Mirrors, Rear Fog Lamps, Child Proof Door Locks, Daytime Running Lights, Reverse Camera, Side Curtain Airbags, Roll Stability Control, Power Lift Gate, Tire Pressure Monitor, Carpeted Floor Mats, Overhead Console, Aux. Audio Input, Front Heated Seats, HD Radio. Air Conditioning, Climate Control, Dual Zone Climate Control, Cruise Control, Tinted Windows, Power Steering, Power Mirrors, Leather Steering Wheel, Clock, Tachometer, Homelink System, Telescoping Steering Wheel, Steering Wheel Radio Controls, Driver Airbag, Passenger Airbag, Side Airbags, Security System, Rear Defogger, Intermittent Wipers, AM/FM, CD Player, Anti-Theft, Aux. Audio Input, Bluetooth®, Carpeted Floor Mats, Center Arm Rest, Child Proof Door Locks, Daytime Running Lights, Front Heated Seats, Heated Mirrors, Overhead Console, Power Lift Gate, Rear Fog Lamps, Rear Wipers, Remote Trunk Lid, Reverse Camera, Roll Stability Control, Side Curtain Airbags, Tire Pressure Monitor, Vanity Mirrors - Dealer not responsible for typographical errors of any sort, including but not limited to pricing. Exact mileages may vary. -LOADED WITH VALUE! LOADED WITH VALUE! Comes equipped with: Black. This Mercedes-Benz C-Class also includes Air Conditioning, Clock, Climate Control, Tachometer, Dual Zone Climate Control, Cruise Control, Homelink System, Power Steering, Power Windows, Steering Radio Controls, Sunroof, Power Mirrors, Moonroof, Lthr. Steering Wheel, Driver Airbag, Passenger Airbag, Intermittent Wipers, Side Airbags, Rear Defogger, Security System, AM/FM, Anti-Theft, Surround Sound, Rear Spoiler, Center Arm Rest, Remote Trunk Lid, Vanity Mirrors, Heated Mirrors, Rear Fog Lamps, Daytime Running Lights, Reverse Camera, Side Curtain Airbags, Roll Stability Control, Power Lift Gate, Tire Pressure Monitor, Carpeted Floor Mats, Overhead Console, Aux. Audio Input, Front Heated Seats, Voice Control. Air Conditioning, Climate Control, Dual Zone Climate Control, Cruise Control, Power Steering, Power Windows, Power Mirrors, Leather Steering Wheel, Clock, Tachometer, Homelink System, Steering Wheel Radio Controls, Sunroof, Moonroof, Driver Airbag, Passenger Airbag, Side Airbags, Security System, Rear Defogger, Intermittent Wipers, AM/FM, Anti-Theft, Aux. Audio Input, Carpeted Floor Mats, Center Arm Rest, Daytime Running Lights, Front Heated Seats, Heated Mirrors, Overhead Console, Power Lift Gate, Rear Fog Lamps, Rear Spoiler, Rear Spoiler, Remote Trunk Lid, Reverse Camera, Roll Stability Control, Side Curtain Airbags, Tire Pressure Monitor, Vanity Mirrors - Dealer not responsible for typographical errors of any sort, including but not limited to pricing. Exact mileages may vary. -LOADED WITH VALUE! LOADED WITH VALUE! Comes equipped with: Polar White. This Mercedes-Benz GLC also includes Air Conditioning, Clock, Climate Control, Tachometer, Dual Zone Climate Control, Cruise Control, Homelink System, Privacy Glass/Tinted Windows, Power Steering, Telescoping Steering Wheel, Steering Radio Controls, Power Mirrors, Lthr. Steering Wheel, Driver Airbag, Passenger Airbag, Intermittent Wipers, Side Airbags, Rear Defogger, Security System, AM/FM, Anti-Theft, CD Player, Satellite Radio, Bluetooth®, Sport Seats, Rear Wipers, Center Arm Rest, Remote Trunk Lid, Vanity Mirrors, Heated Mirrors, Rear Fog Lamps, Child Proof Door Locks, Daytime Running Lights, Reverse Camera, Side Curtain Airbags, Roll Stability Control, Power Lift Gate, Tire Pressure Monitor, Carpeted Floor Mats, Overhead Console, Aux. Audio Input, Front Heated Seats, HD Radio. Air Conditioning, Climate Control, Dual Zone Climate Control, Cruise Control, Tinted Windows, Power Steering, Power Mirrors, Leather Steering Wheel, Clock, Tachometer, Homelink System, Telescoping Steering Wheel, Steering Wheel Radio Controls, Driver Airbag, Passenger Airbag, Side Airbags, Security System, Rear Defogger, Intermittent Wipers, AM/FM, CD Player, Anti-Theft, Aux. Audio Input, Bluetooth®, Carpeted Floor Mats, Center Arm Rest, Child Proof Door Locks, Daytime Running Lights, Front Heated Seats, Heated Mirrors, Overhead Console, Power Lift Gate, Rear Fog Lamps, Rear Wipers, Remote Trunk Lid, Reverse Camera, Roll Stability Control, Side Curtain Airbags, Sport Seats, Tire Pressure Monitor, Vanity Mirrors - Dealer not responsible for typographical errors of any sort, including but not limited to pricing. Exact mileages may vary. -LOADED WITH VALUE! LOADED WITH VALUE! Comes equipped with: Premium 1 Package, Rubellite Red Metallic. This Mercedes-Benz E-Class also includes Air Conditioning, Clock, Climate Control, Tachometer, Dual Zone Climate Control, Cruise Control, Homelink System, Power Steering, Telescoping Steering Wheel, Steering Radio Controls, Wood Trim, Sunroof, Power Mirrors, Moonroof, Lthr. Steering Wheel, Driver Airbag, Passenger Airbag, Intermittent Wipers, Side Airbags, Rear Defogger, Security System, Anti-Theft, MP3, Satellite Radio, Navigation System, Sport Seats, Center Arm Rest, Vanity Mirrors, Center Console, Heated Mirrors, Daytime Running Lights, Reverse Camera, Side Curtain Airbags, Roll Stability Control, Tire Pressure Monitor, Carpeted Floor Mats, Overhead Console, Aux. Audio Input, HD Radio. Air Conditioning, Climate Control, Dual Zone Climate Control, Cruise Control, Power Steering, Power Mirrors, Leather Steering Wheel, Wood Trim, Clock, Tachometer, Homelink System, Telescoping Steering Wheel, Steering Wheel Radio Controls, Sunroof, Moonroof, Driver Airbag, Passenger Airbag, Side Airbags, Security System, Rear Defogger, Intermittent Wipers, Anti-Theft, Aux. Audio Input, Carpeted Floor Mats, Center Arm Rest, Center Console, Daytime Running Lights, Heated Mirrors, Navigation System, Overhead Console, Reverse Camera, Roll Stability Control, Side Curtain Airbags, Sport Seats, Tire Pressure Monitor, Vanity Mirrors - Dealer not responsible for typographical errors of any sort, including but not limited to pricing. Exact mileages may vary. -LOADED WITH VALUE! Comes equipped with: Premium 1 Package, Rubellite Red Metallic. LOADED WITH VALUE! Comes equipped with: Premium Package, Selenite Grey Metallic. 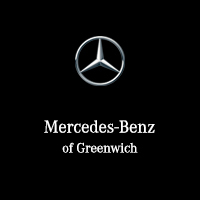 This Mercedes-Benz CLS also includes Air Conditioning, Power Driver's Seat, Clock, Climate Control, Power Passenger Seat, Tachometer, Dual Zone Climate Control, Memory Seat Position, Cruise Control, Homelink System, Power Steering, Telescoping Steering Wheel, Steering Radio Controls, Sunroof, Power Mirrors, Moonroof, Lthr. Steering Wheel, Driver Airbag, Passenger Airbag, Intermittent Wipers, Side Airbags, Rear Defogger, Security System, AM/FM, MP3, Satellite Radio, Bluetooth®, Navigation System, Center Arm Rest, Vanity Mirrors, Heated Mirrors, Child Proof Door Locks, Daytime Running Lights, Reverse Camera, Side Curtain Airbags, Roll Stability Control, Tire Pressure Monitor, Carpeted Floor Mats, Overhead Console, Aux. Audio Input, Front Heated Seats, HD Radio, Voice Control. Air Conditioning, Climate Control, Dual Zone Climate Control, Cruise Control, Power Steering, Power Mirrors, Leather Steering Wheel, Power Drivers Seat, Power Passenger Seat, Memory Seat Position, Clock, Tachometer, Homelink System, Telescoping Steering Wheel, Steering Wheel Radio Controls, Sunroof, Moonroof, Driver Airbag, Passenger Airbag, Side Airbags, Security System, Rear Defogger, Intermittent Wipers, AM/FM, Aux. Audio Input, Bluetooth®, Carpeted Floor Mats, Center Arm Rest, Child Proof Door Locks, Daytime Running Lights, Front Heated Seats, Heated Mirrors, Navigation System, Overhead Console, Reverse Camera, Roll Stability Control, Side Curtain Airbags, Tire Pressure Monitor, Vanity Mirrors - Dealer not responsible for typographical errors of any sort, including but not limited to pricing. Exact mileages may vary. -LOADED WITH VALUE! LOADED WITH VALUE! Comes equipped with: Iridium Silver Metallic, Premium 2 Package. This Mercedes-Benz GLE also includes Air Conditioning, Clock, Climate Control, Tachometer, Dual Zone Climate Control, Cruise Control, Homelink System, Privacy Glass/Tinted Windows, Power Steering, Telescoping Steering Wheel, Steering Radio Controls, Power Mirrors, Lthr. Steering Wheel, Driver Airbag, Passenger Airbag, Intermittent Wipers, Side Airbags, Rear Defogger, Security System, Anti-Theft, CD Player, MP3, Surround Sound, Navigation System, Rear Spoiler, Sport Seats, Center Arm Rest, Remote Trunk Lid, Vanity Mirrors, Heated Mirrors, Rear Fog Lamps, Child Proof Door Locks, Daytime Running Lights, Reverse Camera, Side Curtain Airbags, Roll Stability Control, Adaptive headlights, Power Lift Gate, Tire Pressure Monitor, Premium Sound, Carpeted Floor Mats, Aux. Audio Input, Front Heated Seats, Onboard Hard Drive, Voice Control. Air Conditioning, Climate Control, Dual Zone Climate Control, Cruise Control, Tinted Windows, Power Steering, Power Mirrors, Leather Steering Wheel, Clock, Tachometer, Homelink System, Telescoping Steering Wheel, Steering Wheel Radio Controls, Driver Airbag, Passenger Airbag, Side Airbags, Security System, Rear Defogger, Intermittent Wipers, CD Player, Anti-Theft, Adaptive headlights, Aux. Audio Input, Carpeted Floor Mats, Center Arm Rest, Child Proof Door Locks, Daytime Running Lights, Front Heated Seats, Heated Mirrors, Navigation System, Power Lift Gate, Premium Sound, Rear Fog Lamps, Rear Spoiler, Rear Spoiler, Remote Trunk Lid, Reverse Camera, Roll Stability Control, Side Curtain Airbags, Sport Seats, Tire Pressure Monitor, Vanity Mirrors - Dealer not responsible for typographical errors of any sort, including but not limited to pricing. Exact mileages may vary. -LOADED WITH VALUE! Comes equipped with: Iridium Silver Metallic, Premium 2 Package. LOADED WITH VALUE! Comes equipped with: Polar White, Premium 3 Package. This Mercedes-Benz GLE also includes Air Conditioning, Clock, Climate Control, Tachometer, Dual Zone Climate Control, Cruise Control, Homelink System, Privacy Glass/Tinted Windows, Power Steering, Telescoping Steering Wheel, Steering Radio Controls, Power Mirrors, Lthr. Steering Wheel, Driver Airbag, Passenger Airbag, Intermittent Wipers, Side Airbags, Rear Defogger, Security System, Anti-Theft, CD Player, MP3, Surround Sound, Navigation System, Rear Spoiler, Sport Seats, Center Arm Rest, Remote Trunk Lid, Vanity Mirrors, Heated Mirrors, Rear Fog Lamps, Child Proof Door Locks, Daytime Running Lights, Reverse Camera, Side Curtain Airbags, Roll Stability Control, Adaptive headlights, Power Lift Gate, Tire Pressure Monitor, Premium Sound, Carpeted Floor Mats, Aux. Audio Input, Front Heated Seats, Onboard Hard Drive, Voice Control. Air Conditioning, Climate Control, Dual Zone Climate Control, Cruise Control, Tinted Windows, Power Steering, Power Mirrors, Leather Steering Wheel, Clock, Tachometer, Homelink System, Telescoping Steering Wheel, Steering Wheel Radio Controls, Driver Airbag, Passenger Airbag, Side Airbags, Security System, Rear Defogger, Intermittent Wipers, CD Player, Anti-Theft, Adaptive headlights, Aux. Audio Input, Carpeted Floor Mats, Center Arm Rest, Child Proof Door Locks, Daytime Running Lights, Front Heated Seats, Heated Mirrors, Navigation System, Power Lift Gate, Premium Sound, Rear Fog Lamps, Rear Spoiler, Rear Spoiler, Remote Trunk Lid, Reverse Camera, Roll Stability Control, Side Curtain Airbags, Sport Seats, Tire Pressure Monitor, Vanity Mirrors - Dealer not responsible for typographical errors of any sort, including but not limited to pricing. Exact mileages may vary. -LOADED WITH VALUE! Comes equipped with: Polar White, Premium 3 Package. Comes equipped with: Designo Cardinal Red Metallic, Parking Assist Package, Premium 3 Package.